Lost In Translation: Movies coming to a TV near you. No, this post is not about the Focus Feature movie starring Bill Murray and the beautiful Scarlett Johansson. But! It is somewhat relatable. 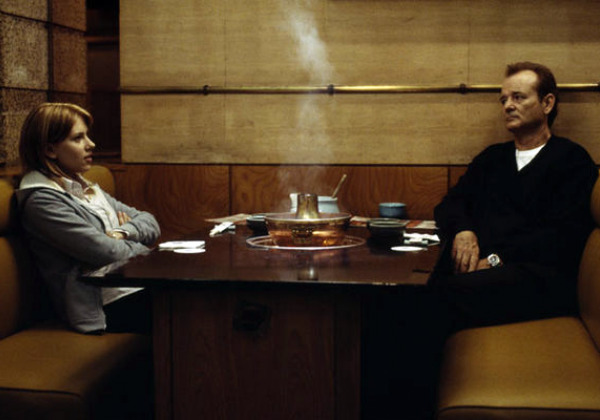 In Lost in Translation Bill Murray and Scarlett Johansson deal with feelings and expectations appearing one way at one time and then translating differently a little bit later. The same happens for me sometimes when it comes to movies. There are films that I was so excited to see when released in theaters that I admittedly then enjoyed, but later, in tv or blu-ray viewings utterly disappointed me. I remember when Peter Jackson announced that he was releasing a new version of King Kong. I couldn’t wait to check it out because, for the first time, King Kong was going to be presented on the big screen for the people of my generation to enjoy. I went to the theaters, enjoyed watching Kong beat the mess out of a T-Rex or two, and almost had a tear reach my eye as the known and expected ending came about. What a great film to see on the big screen. Such a visual treat, so full of action and drama…just plain cool. It immediately went to my list of “must buy” movies. When I finally picked it up on disc I excitedly threw it into my dvd player and watched it at my house. I jest, of course, but has this ever happened to you? I found the same thing happened for me with Sucker Punch. Great to watch on the big screen, but boring otherwise. I own it still, but I put it on when I just want some different music playing in the background while I am working on something else. Avatar is another one. I liked it in 3D in the theaters…once…but afterwards, something truly gets lost in translation for me. So underwhelming, it turns boring or perhaps just not as exciting as it once was. I even have to add the Transformers films in here, all three of them. I enjoyed something about each of them in the theaters, but it’s just not the same when translated onto disc. What is this unfortunate phenomenon that thus threatens to invade my treasured (and alphabetized, mind you) blu-ray/dvd collection? 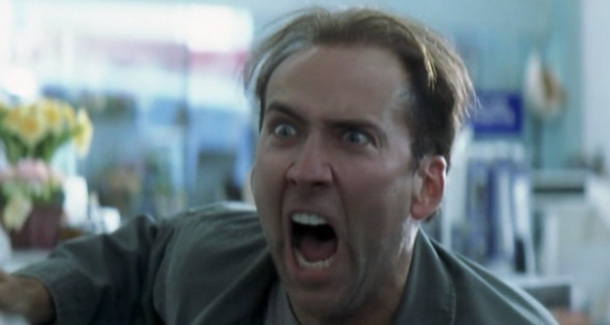 What causes certain films to lose their entertainment value? Losing the status of Amazing, Beautiful and Captivating and then gaining the status of Dull, Exhaustive and Forgettable. Interestingly enough, the exact opposite sometimes happens too. Perhaps that is a post for another time. But it saddens me when a movie I enjoyed in theaters just doesn’t deliver at home. 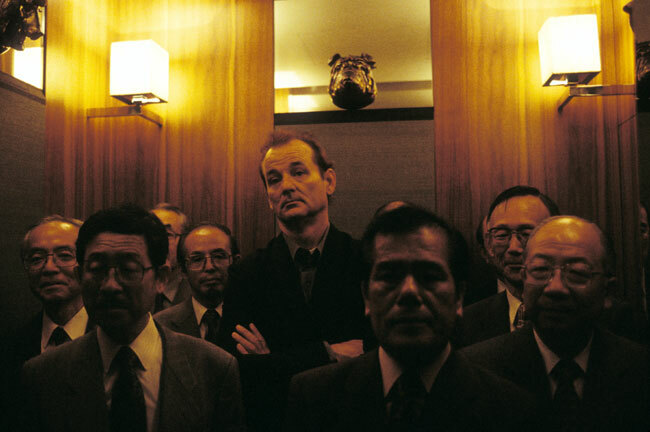 The films sometimes truly do get lost in translation, leaving me feel definitely less enthralled. What movies disappointed you when they released on disc as opposed to the big screen? Share your thoughts? 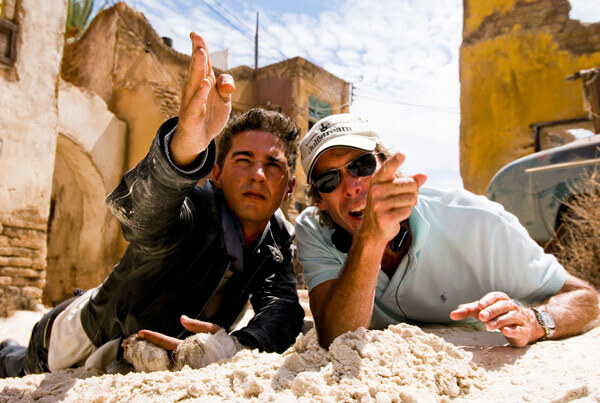 Did Inception disappoint you? Black Swan? Star Wars…any of them? What about 2012 or the 3rd Matrix? Does this “lost in translation” phenomenon even happen to you? Let me know. Leave a comment and tell me the movies you loved on the big screen but did not after you brought them home! Good topic T., I didn’t really enjoy King Kong on the big screen and when I watched it again on BD, it bored me to death. It sure looked and sounded awesome on BD though. One film that I really liked in theater was District 9 but when I got the BD and watched it at home, I didn’t really care for it. I sort of don’t like the film anymore. It doesn’t have anything to do with my home theater set up since mine is pretty sweet; I have a front projector set up with 100 inch screen, 2.20:1 aspect ratio and 7.1 surround sound. One film that I didn’t like when I saw it in theater was I Am Legend but when I watched it again on BD, I ended up liking it much better. Thanks Ted for reading and commenting. I am glad I am not alone in King Kong sentiments. D9 is another good choice. Yeah, it’s somewhat underwhelming now. On I Am Legend, did you prefer the alternate ending more? No, I actually prefer the original theatrical ending, I don’t know why some people were so excited about the alternate version, some said it’s closer to the book, which is BS. In the book he killed himself after he found out what’s really going on in the world he’s living in. I was really disappointed in the film the first time because the filmmakers promised this new version would be closer to the novel, but it came out, it’s nothing like the book. After a couple of times watching it again, I really like the movie. Maybe 15 to 20 years from now, we’ll see another version and hopefully it’s truer to the book. You and I are the same in mind when referring to the theatrical ending. I very much disliked the alternate. Funny I usually feel this way about most movies I see. That’s why I do not bother purchasing them if I have watched them in theaters. I like to keep my perceptions of the movie in the ‘original’ context (i.e. the movie theater). Unless someone is kicking my seat the entire time or someone has a nice conversation going…. etc… then I would buy/rent it to see it again. =) Good topic! Not something I would have thought about. Thanks! I wish we could recreate the experience regularly. true enough. but some of them fall very far from initial viewing experience. Enjoyed writing this. Thanks for commenting. did you see Avatar in 3D in theaters? I Sure did, and it was amazing! But there is no way I expect any movie to look the same as it looks on a theatre screen. of course. I know what you mean, but sometimes the difference is so drastic! and that, I guess, is my point with this fun post. ha. Thanks for chiming in. Interesting topic and question, T. Hmmm, I can’t think of anything right now, I think to a degree Avatar is a much more spectacular film on the big screen but I wasn’t exactly disappointed by it, I mean I get the limitation of my much-smaller TV screen and the lack of 3D but I still enjoyed it. Thanks Ruth so much. Yeah, it is an interesting phenomenon that can often disappoint. I had a similar experience with Avatar. I liked it the first time around but when I watched it again I really started to dislike it when I started to realize how dull and unoriginal the movie actually was. Most big special effects blockbusters suffer when put on home video because they were meant to be seen on the big screen to appreciate their spectacle. When viewing these films in a more intimate setting, their story flaws become very apparent. Similarly, I have a hard time seeing character dramas in the theater because they don’t provide the huge spectacle that blows me away in that setting. I can usually enjoy blockbuster movies at home, though I understand what you mean about “King Kong.” M. Night Shyamalan’s “Lady in the Water” had that affect on me. I sort of enjoyed it in the theater, but could not sit through it while watching it on DVD. Greetings Jamie! Thanks for chiming in. I wouldn’t have thought of Lady in the Water. I actually am one of the few that enjoy it. But, it’d prob be fair of me to say that it was more underwhelming in theaters for me and got better at home. Yep, Avatar was the same for me. I guess there are certain films where the amount of detail is an important part of the experience but those details aren’t as noticeable on a small screen. I also find I get so much more immersed in a film if it’s on a massive screen in the dark with loads of other like minded cinema-goers. Great post! Thank you for the compliment and the comment. I was saying in a comment above that it seems that Avatar gave a similar experience to a lot of people. I’m gonna say I don’t have the same experience as you, Terrence. I usually enjoy a film just as much whether it’s on the big screen or on the home setup. To be honest, however, it goes a long way to enjoyment if you can replicate the cinematic experience as much as possible, but as you said, sometimes not even that helps; I find i still enjoy films I saw at the cimena even after multiple viewings at home. Working in reverse, though, I hated Men In Black when I first saw that back in ’97, but after a number of re-screenings on television and on VHS (yes, I had it on VHS) I came to really enjoy it. But I’ve never been bored by a film at home that I loved or liked at the cinema. I am glad that the phenomenon of “lost in translation” only happens in reverse for ya! ha. Hooray for the tribute to classic VHS viewing. No, have not had this happen to me, some of the examples you name, for example Avatar was already something which I thought was just OK and I wasn’t planning on rewatching again at home. If I like something on the big screen though I’ll enjoy it just as much at home. I can see how this could happen. 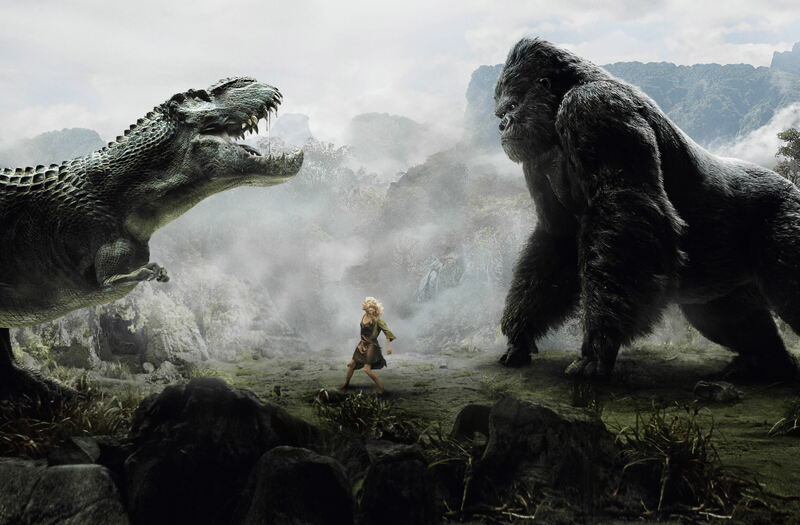 In the specific case of King Kong I liked it quite a bit in the theatre, but I have no compelling need to watch it again, so I can see how it could drop off for someone who saw it a second time. For me, the case that really comes to mind is Superman Returns — though it’s more just “as time goes on” as I never have watched it at home. But when I saw it in the theatre, I genuinely enjoyed myself. Sure, it had some flaws, but it was fun. But the longer I was away from the theatre, the more different things started to bug me. There’s a lot wrong with that movie, and I don’t think I could stand to watch it again. But for that first viewing, when Superman was up there flying on the big screen, all was right for a little while. Agreed on Superman Returns here Morgan. Yes!